Memphis, I’m pretty sure, is the hub for homeless people. Expect to be approached by them at all times. It’s always when you least expect it. They ring the doorbell while you’re eating breakfast, they confront you while you pump your gas, they wait for you to pull in your driveway, they zoom up to you on beat-up bicycles…just be ready. And the ones here are quite different, they’re more advanced. They don’t lounge on the sidewalks in rags clinking coins in a can begging for change. Instead they always have some sad, convincing story and they always want you to do something specific like buy them certain items, give them a ride to somewhere, give them a job to do, or give them an amount of cash. They make it basically impossible to say no, at least for me. Tonight, as I got out of my car at Walgreens to return a redbox movie a mobile hobo zipped right in front of me on his little bike and pleaded for me to buy him two lunchables, the ones with cheese, meat and crackers and a piece of candy. I was stunned for a second at his extremely detailed solicitation and then double stunned at the fact that he wanted me to get him “Lunchables.” So instead of leaving to go back home in my car I entered Walgreens and went to the refrigerated section, and sure enough amongst the many varieties of lunchables I found the ones with cheese, meat and crackers accompanied with a piece of candy. I took a couple seconds debating in my mind which piece of candy he would like best and then decided on the one with sour patch kids (only because those are my favorite). I purchased the two nutritious lunchables and handed them to my homeless homie who showed great amounts of gratitude and wished me a safe trip home. On my way to my car about 4 seconds later another penniless Memphian stopped me and asked me for some meat and crackers and a root beer. The first thing that came to my mind was LUNCHABLES, Bums love Lunchables! So I bolted back into the store and bought another one of those same tasty lunchables and a bottle of root beer. When I came out of the store and proudly gave him his bag of food, he peered into the plastic sack and then slowly raised his head looking straight at me and uttered in sheer disappointment, “man, I asked for meat and crackers, not a lunchable.” I was in turn completely disappointed. Not because I had failed at getting this picky vagabond’s order correct but because he had just completely shattered my “Hobo + Lunchables = Ultimate, Celestial Happiness” hypothesis. I apologized and told him that the cool things about that lunchable is that it is a delicious meat and crackers lunchable and so it was perfect for him. Then I bid him farewell and all the luck and got in my car. At that point I realized something profound. If being a school teacher doesn’t work out for me, I would make a sweet Lunchables sales rep. I read my “fortune” at Panda Express a couple of days ago. 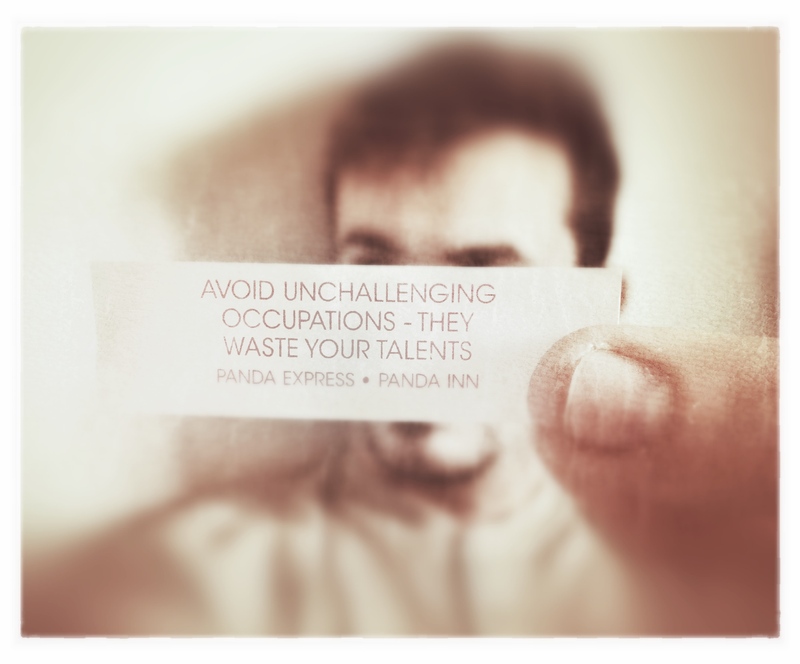 It was, for the first time, prophetic..sort of…”avoid unchallenging occupations – they waste your talents.” I graduated in December and moved to DC in search of that dream job but sadly just ended up waiting tables at two restaurants. these jobs made me frustrated and kept me motivated. Eventualy, after a lot of interviews, I got a job that was even better than anything I had previously thought of. 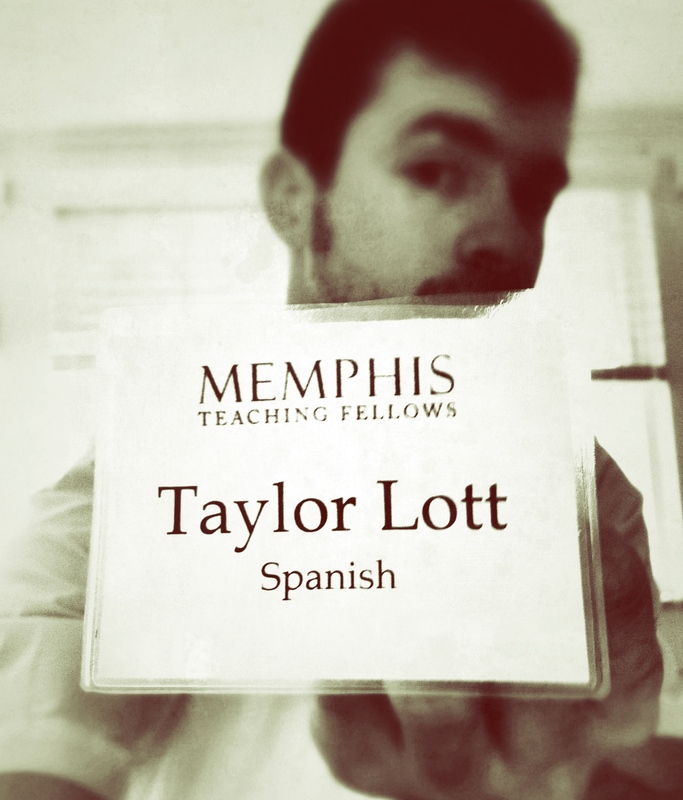 I was hired to be a Teaching Fellow. (Read about this program here http://memphisteachingfellows.ttrack.org/) Now I’m preparing to make a difference in this school district and become an effective teacher and my journey starts today. I am leaving in an hour to drive from Washington state to Washington DC and pick up all my junk and drive to Memphis. Wish me luck.